The interactions of nanoparticles with skin and skin cells are complex and depend on the nanoparticle type. 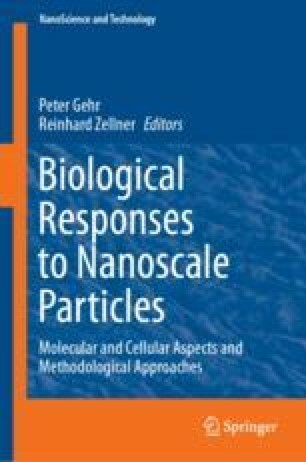 The present work provides an overview on the interactions between solid nanoparticles including silica, titanium dioxide, and silver particulates and skin and skin cells on the basis of previous research results. Generally, nanoparticles applied to skin tend to remain on the skin surface and penetrate only into the upper layers of the stratum corneum and the follicular ducts. In very few cases, nanoparticles have been found in deeper skin layers, particularly if the skin barrier was previously disrupted. Increased nanoparticle penetration may result in biologically relevant effects, e.g. cytotoxic cellular effects induced by silver ions released from wound dressings incorporating silver nanoparticles. We thankfully acknowledge the Deutsche Forschungsgemeinschaft for their support of the Priority Program SPP 1313 “Biological Responses to Nanoscale Particles”.